As a working mother, it is easy to get drown in the hectic work, accumulating stress and skipping some pumping sessions. Then, all of sudden, we realized that our milk supply has dipped, and not much left in the freezer stash. Bottles of expressed milk, I need more of this! What to do? If you are still determined to provide breast milk for your baby, the only way is to boost up your milk supply. Now how? There are abundant tips out there, but these few here are the ones that REALLY WORK for me. (1) First, ensure your pumping equipment in its most prime condition. If it’s been long since the last time you change the pumping parts, now it is the right time to do so. Pay attention to valves, diaphragm, and other soft parts that tend to wear out quickly. You want your breast pump to give you its best performance. (2) Add more pumping sessions. As all nursing mother knows, it’s all about demand and supply. The more frequent the breast is emptied, the more frequent it is refilled. The additional pumping session need not to be long, the most important thing is to ensure that it empties the breast properly. It does not really matter what do you get for that extra session, remember your goal is to train the breast to produce more milk, so don’t focus on output yet. For me, that means to add one extra pumping session at work. Instead of the combo lunch-time pump and after-work pump, now I pump at 11 am, 2 pm, and 5.50 pm. I also add more pumping sessions on weekend, morning, baby’s first nap, baby’s second nap, and before bed time. In power pumping, you do a cluster pumps in one hour: 20 mins pump, 10 mins rest, 10 mins pump, 10 mins rest, and 10 mins pump. There has been mixed result reported on whether power pumping actually can increase milk supply. Some people said that if they do two sessions of power pumping every day for a few days, they can see huge increase of supply, while others not. I come across a great article which explain how to make power pumping works for you which literally make sense. Head over to this power pumping article for more details. As for me personally, sparing additional one hour in my already packed schedule is a real challenge, what more two hours. 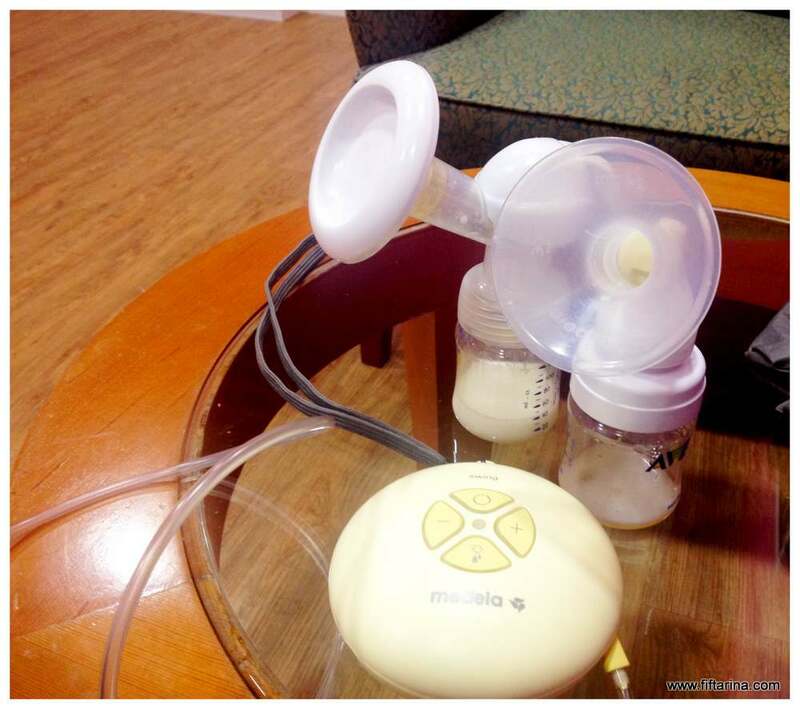 Hence, I settled down with simply do cluster pumping/nursing method. Instead of our usual night routine of nurse baby once and pump once before night sleep, I add in one more nursing session. 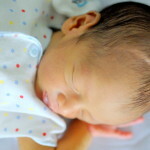 So it goes like nurse baby, let her play with daddy and brother, pump once, then the final nursing before baby sleep. In the morning, instead of the usual 6.50 pump, I start pumping earlier at 6.30, break for 10 mins to have breakfast, and pump once more. Though the result is not as great as power pumping, I can see that the yield has increased steadily. Believe me, more let down gives you more milk. I started with 2 let downs per session at work, but when I start seeing how my supply dips, I aims for 3, then now 4 let downs. So what I do is after I don’t see milk coming out after the first let down, I restarted my pump to stimulation phase until I get another let down, then begin expression mode. And I do this three times excluding my first let down. That means enough rest (get enough sleep, mommy), enough nutrition intake, enough water, and no stress please. This simple care ensures that your body is in prime condition to produce more milk for your baby. Though it may sound easy, it is very easy for mother to forget that she has not drink a glass of water for the last couple of hours since the children really take up her attention (this occurs very often to me, raise your hand if you feel this too). Oh, and if you have a milk booster, take that too. I personally don’t have any supplement that can increase my supply tremendously, but other people have suggested rolled oat, fenugreek, nursing tea, unripe papaya soup, and bitter gourd juice. (6) Though I put this as the last, it is equally important, or even the most important tips that you need to remember. After all the attempts that you do to increase your milk supply, ask God to make your breastfeeding journey easy for you, for He is the Best Provider. O Allah, make it easy for me to provide enough milk for Khadijah, as you have made it easy for me to breastfeed her till this point. Now, onto the result. What has I achieved after I do all of these tips? Do my milk supply increase? Yes. Tremendously? Nope. But let me give you the general overview. Before doing serious attempts to increase my supply, I can only express about 230-250 ml per day, while my baby drinks 400 ml. That means deficit of 1.5 bottle every day ( assuming that one bottle is 100 ml). With weekend pump, I can get total 2 extra bottles of milk, which give total deficit of 5.5 bottles per week. I have only about 24 bottles of frozen EBM left 4 weeks ago, so without any attempts, I would get only 2 bottles of EBM left last week. But with my 5+1 tips above, I managed to pump around 50 ml more per day, making deficit to be less, becoming 3 bottles deficit per week, which translate to 12 bottles EBM remaining. Ok, that’s based on my math calculation. But when I checked my freezer, I found 25 bottles of EBM. So where does these additional 13 come from? I would say, that’s the miracle from God. I cannot say anything except AlhamduliLlah (praise to Allah). With the current EBM balance, I have new hope to be able to continue giving breastmilk until Khadijah is 18 months old. Then mid of July I can build up more stash during my 2-week annual leave. Alright, so those are my simple tips how to increase milk supply that really works for me. Now tell me, what do you think the most important tips to boost up your milk supply? 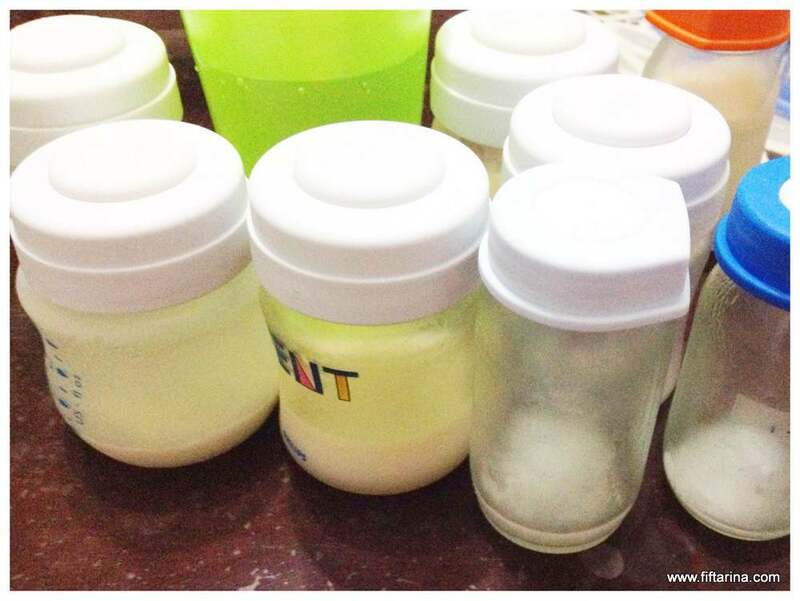 My breastfed baby refuses bottle, what to do? 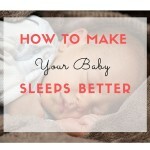 How to get baby to sleep better at night? Try these 5 tips! Useful tips for all working women who put that extra effort to breastfeed their kids inspire of many constraints. Thanks Sangeetha! I hope it can inspire other mothers who are at the same boat with me.